During 1979 he was engaged in research on an epidemic disease in Naples called the “dark disease”. Dr Tarro isolated the respiratory syncytial virus (RSV) and found antibody evidence that this virus was behind the epidemic. The World Health Organization expert were called in and agreed most cases of disease were caused by RSV. In 1981 he suggested the proper use of interferon to cure the cytomegalovirus infection affecting the pope John Paul the second who underwent long surgical operation and received huge blood transfusion after the killing attempt. Dr Tarro is currently engaged in scientific research related to the separation and identification of tumour antigens present on cell membranes and their potential value in immunotherapy for cancer. He has shown that specific soluble antigens may be used in various tests for a further understanding of their role in various cancer systems. Another study has involved the identification, isolation and characterization of specific virus-induced tumour antigens, which were the “finger-prints” left behind in tumours induced in man by human herpes viruses. Intramural activities have included being director of thesis and research for many candidates; director of medical research fellowships for medical students; participation in research planning for clinical colleagues; teaching virology, oncology and immunology to medical and graduate students. He is on the editorial board of various Italian medical journals. Dr Tarro has been elected to membership of many academies and societies. He has also been the recipient of many awards and honours. 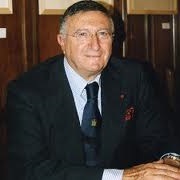 Dr Tarro is life president of the T. and L. de Beaumont Bonelli Foundation for Cancer Research officially recognized by Italian presidential decree n. 36 of January 3, 1978. The aim of the Foundation is the promotion of scientific research on cancer and was instituted thanks to the generous donation of the late Teresa Berger who left to the foundation a large part of her patrimony, whereas the late husband, the Earl Luigi de Beaumont Bonelli, left most of his patrimony to the Nobel foundation.